This edition celebrates and marks the 50th anniversary (December 6, 1960) of the death of the great Romanian-born pianist. 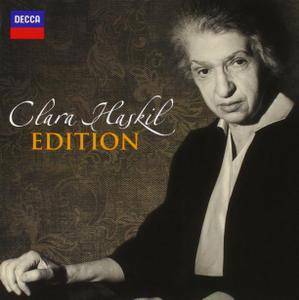 The first comprehensive edition containing the entire of Clara Haskil's recordings for the Decca, Philips, Deutsche Grammophon and Westminster labels. The 17-CD set is released to mark the 50th anniversary (6 December 1960) of the death of the great Romanian-born pianist. The accompanying booklet also includes an infrormative article on Haskil "A prodigy of nature" by piano specialist Jeremy Siepmann. 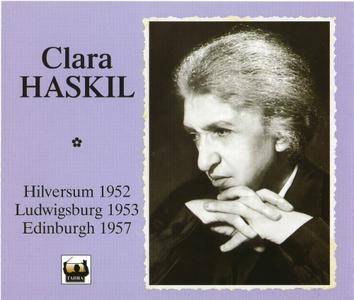 The present set reunites three recitals by Clara Haskil: Hilversum (1952), Ludwigsburg Castle (1953) and the Edinburgh Festival (1957). The interest of this set resides in the recording of the Haydn sonata No. 37, the only one that exists of Clara Haskil. The Ludwigsburg recital on the other hand, is released for the first time complete. 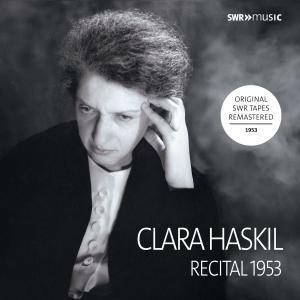 This recording contains all the items from a recital given by Clara Haskil at Ludwigsburg Castle in April, 1953. Schumann's Op. 99 and the encores have never been previously released. The recital is an impressive record of a legendary musician, and has been digitally remastered from the original SWR tapes. 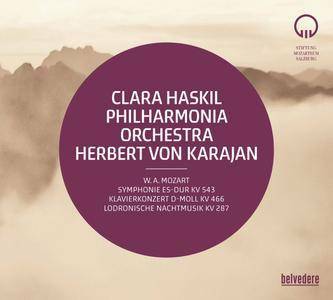 One of the highlights of the 1956 Mozart Week was the concert, which brought together Herbert von Karajan, Clara Haskil and the Philharmonia Orchestra. Karajan knew how to project the qualities of the orchestra using the pieces he selected. The slow introduction of the Symphony No 39 gave him an early opportunity to demonstrate the precision and aural splendour of the orchestra. 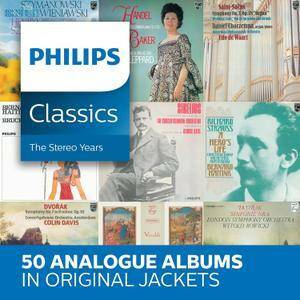 This 50-CD collection of analogue albums aims to represent the heyday of Philips’ passion for great natural sound – the Stereo Years. There was a firm belief within the label’s team that recording technique was there to serve the music - the Musicians had their own views about how any given piece should be interpreted and how it should sound; the recording team’s job was to grasp that vision and make it a reality. This recording philosophy, combined with great artistry and visionary repertoire policy, created a special chapter in the history of classical music recordings that still inspires artists, sound engineers and collectors alike. 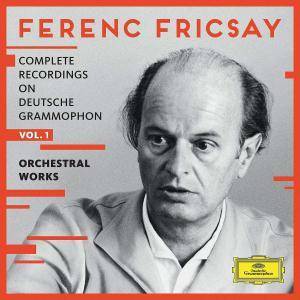 Ferenc Fricsay died at only 48 years of age – suffering a death from illness that was as tragic as it was untimely. Even though Fircsay’s career as a recording artist barely lasted 12 years, almost every connoisseur of Classical music considers him a legend, the epitome of the enlightened master conductor, who was good at everything he touched, a role model for figures like Abbado or Harnoncourt. The sleek and slender aspects of Ferenc Fricsay’s conductorial style paved the way for many facets of what we consider informed conducting today, especially in Mozart, and he still (almost) equalled Furtwängler in transcendental romanticism – when it suited the music. 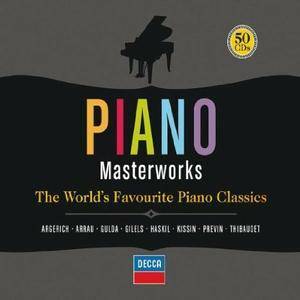 A special limited-edition 50 CD set of the world's favourite piano concertos, sonatas and other solo pieces. 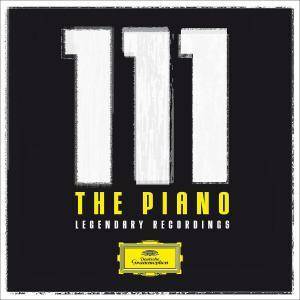 A host of famous pianists perform music from J.S.Bach to Tchaikovsky, Rachmaninov, Prokofiev and Gershwin. This collection of discs includes the five Beethoven Concertos, three Rachmaninov Concertos as well as concertos by Brahms, Grieg, Mendelssohn, Liszt, Schumann and Ravel as well as six Mozart Concertos. The 10,000 Year Explosion: How Civilization Accelerated Human Evolution"